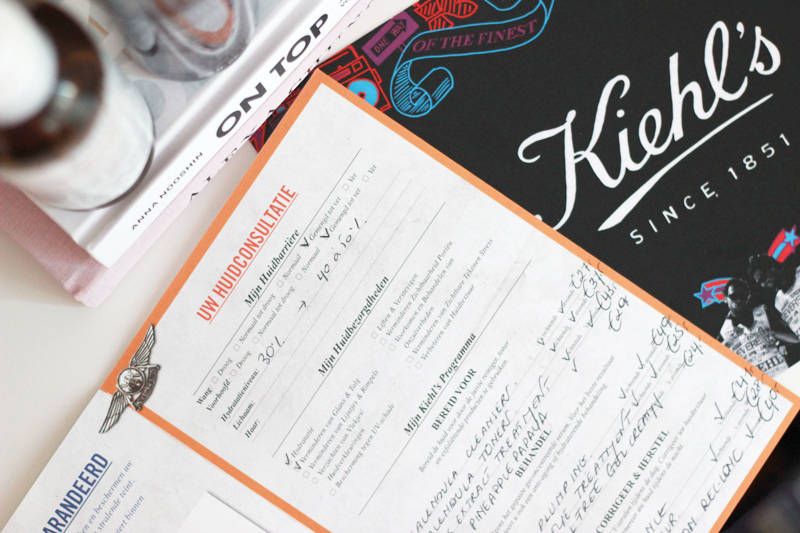 Last month I went to my local Kiehl's store to check out their newest launches. I'm a big fan of Kiehl's as you know, but since there are so many products launching with good brands all the time it's good to be able to see, touch and test all the new ones in their shop. Kiehl's staff is always super friendly and helpful - they know their customers well and never fail to give you a super warm welcome when you enter their shop. This might be normal in the US, but in Belgium good customer service is sadly not always a given. Each shop has a little bar where you can sit down and have a quiet moment testing out all the new stuff, while your Kiehl's advisor checks out your skin's condition with a nifty tool. That's exactly what I did! And I brought home a few new products I carefully trialled the past month and that have made it to my daily skin care routine. 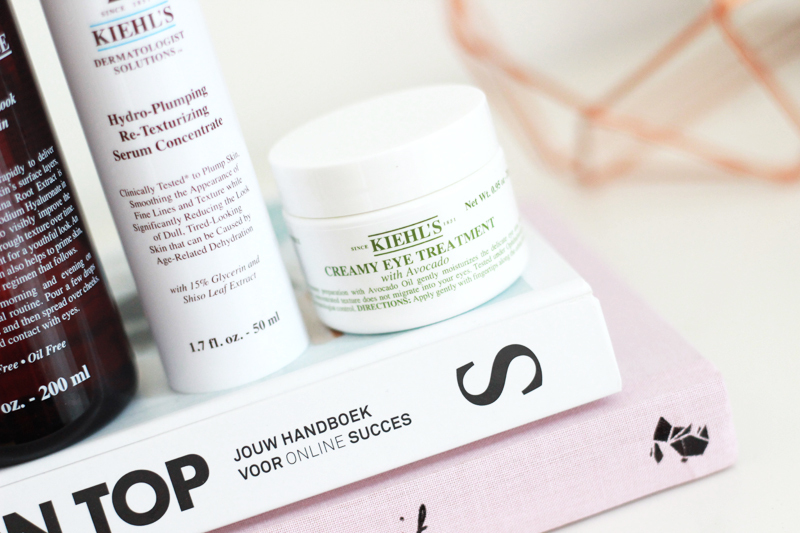 Let me talk you through the Kiehl's products I use daily, because they deserve some thorough love! The Calendula Deep Cleansing Foaming Wash is actually a purchase of a lot longer ago, I purchased it last year. I found myself in a moment where I had a million-and-one cleansers opened at the same time, so I finished the ones I opened earlier first and am now down to finishing this one. Even though it's a foaming cleanser and they tend to be a little harsher on the skin, this one doesn't dry my skin out and leaves it feeling sparkly clean. It contains calendula extract (although no whole calendula flowers like in the popular toner), alongside a few oils and other plant extracts. The other ingredients are quite mild and perfect for difficult skin! I'd definitely recommend this one for anyone who has acne prone skin and is looking for an effective but mild cleanser that'll tackle those impurities without leaving your skin feeling parched and desperate for moisturiser. 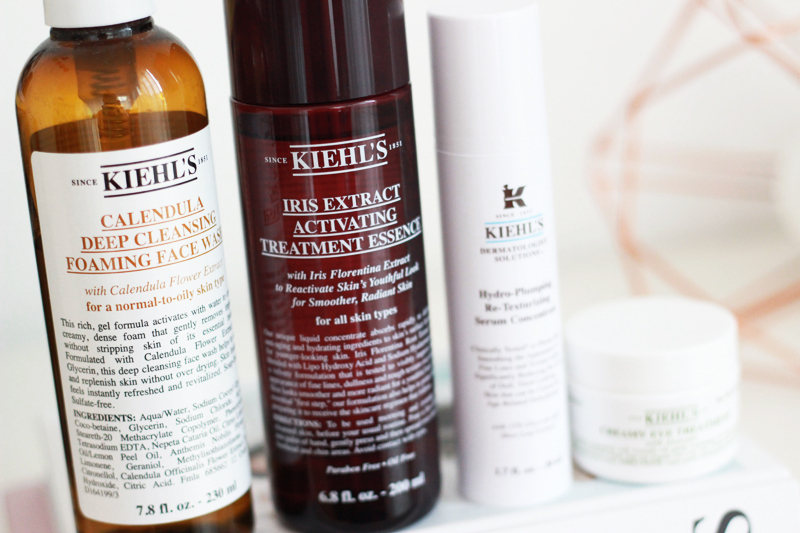 The Iris Extract Activating Treatment Essence is a newbie on the block, having launched in Belgium only a few of months ago. This is the very first essence I've tried, so I was pretty stoked to give it a go. It's an extra step in your skin care, coming in between your regular toner(s) and your serum. The lotion has a very light and watery consistency and can be applied on a cotton pad or straight from your hands - I prefer the latter technique to get the most out of my product. The formulation contains no silicones which is really great especially since you'll be layering products in your routine when incorporating this, but it does contain alcohol (which I can also clearly smell when applying) quite high up the list. I have no issues using products containing alcohol, but if you're prone to reacting badly to alcohol you might try a tester first. Even though there's alcohol in the formulation, my skin feels quenched after applying this. This wouldn't replace your usual moisturiser, but it is supposed to optimise its efficiency. It also contains LHA for light exfoliating properties and Sodium Hyaluronate which will hydrate your skin, holding onto water & that way making your skin look more plump. I can't really say yet whether it does miracles for my skin and it's really worth the extra step, but if you're keen on trying out one of these nifty essences it's worth trying this one out! Last year Kiehl's launched the Hydro-Plumping Re-Texturizing Serum Concentrate, which I wasn't really lured by at first but got convinced to give it a try during my skin consultation. It's a glycerin based gel-to-liquid serum that will quench your skin. 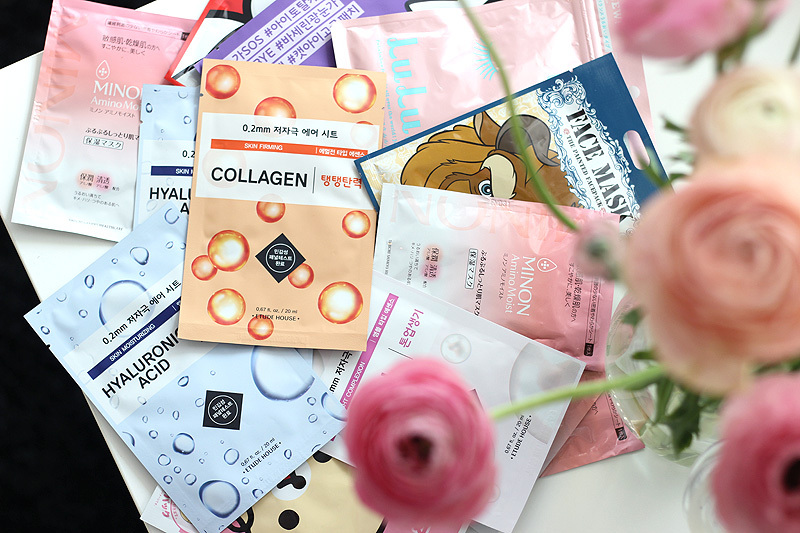 You might start to see a pattern in the products I'm using these days: since the weather is getting harsher my skin really needs a few extra doses of hydrating TLC. This serum feels smooth and velvety on the skin because of added silicone, but not in the way a blurring primer feels (if you catch my drift). You don't really need to add much to your skin, one pump is more than enough even though Kiehl's advises to use two. It absorbs really quickly and leaves your skin feeling hydrated - using a moisturising tool (you can drop by any Kiehl's store and ask the staff to demonstrate this for you!) you'll see moisture levels go up instantly. This is definitely an extra step you could add to your autumn & winter routines to plump your skin, but it's also great all year round for dehydrated skin. Last up in this little talk-through is my new nightly eye treatment: the Creamy Eye Treatment With Avocado. It's pretty straight-forward: it won't fight your dark circles and won't fight puffiness either. This will only moisturise, but it'll do it like nothing else can. I use a targeted serum underneath for extra benefits and I actually really like this duo approach as my eye area has always been one of my main problem areas. I especially recommend this if you just like myself have issues with dry patches on your under eye area sometimes. It's a pretty greasy cream that needs to be warmed up a little between your fingers before applying it to your eye area. 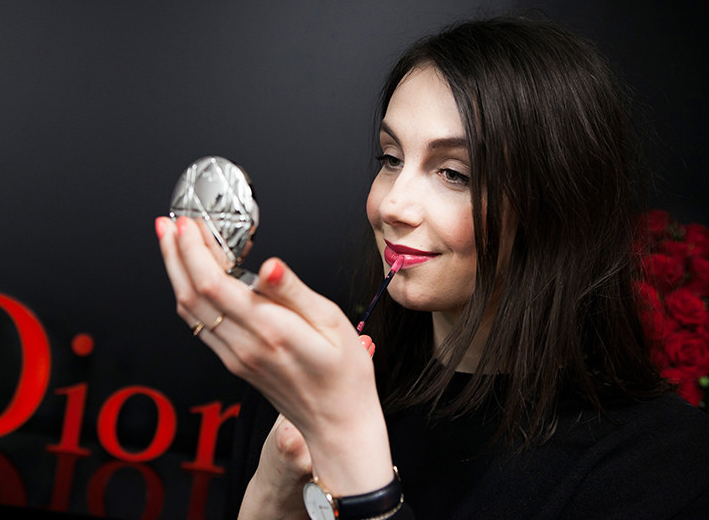 As it's so thick it'll move around a little after application, so you don't need to apply it too close to your eyes. Also be careful not to apply too much! If you've never really looked into Kiehl's product range or if you're just curious about the hydration level of your skin, you can always pop into a store for a free skin consultation. You'll talk a little about your skin and your current skin care routine, measure your skin's hydration level with a nifty electronic tool and check how oily certain parts of your skin are with a paper indicator thingie. 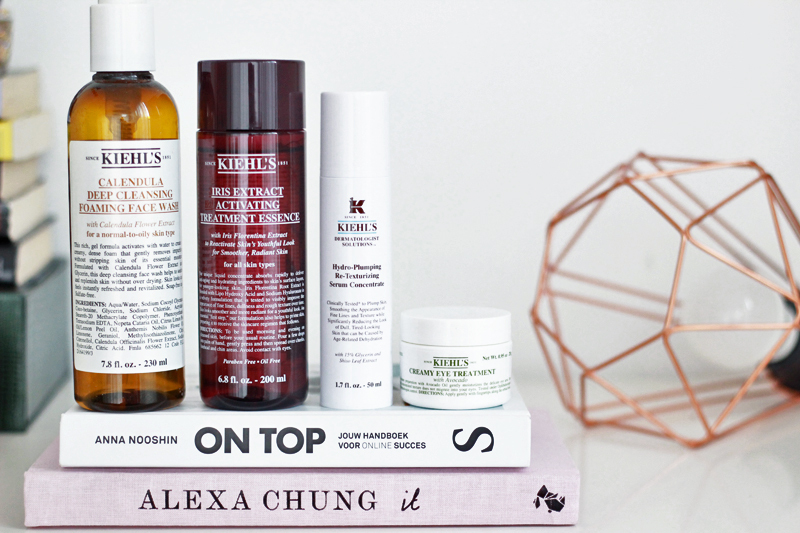 Of course you'll only be recommended Kiehl's products when using this service, but even if you're not planning to use a Kiehl's-only routine it's really helpful to hear which kinds of products you should be trying or avoiding. I love a bunch of other brands too so I wouldn't be able to refrain myself to using just one brand, but I do gladly use multiple Kiehl's products in my current routine. Small side note: I forgot to add that I've also been using Kiehl's Ultra Facial Oil-Free Lotion for the past few years now - it's the perfect moisturiser for slightly oily to normal skin. I didn't add it to this article as I've talked about it many times before, but ended up realising I didn't want to completely leave it out of this article either for any new readers.